lubuntu 17.10 Artful Aardvark released. Lubuntu is an Ubuntu flavor using LXDE. The project’s goal is to provide a lightweight yet functional distribution. Lubuntu specifically targets older machines with lower resources, but also runs great on newer hardware. Along with a simple but usable graphical user interface, Lubuntu comes with a wide variety of applications chosen for their small footprint so you can browse, email, chat, play, and be productive. Get Linux Courses on Sale Now! The release notes are here if you wish to read them. We have left out some notes that are common to all flavors, so read the Ubuntu release notes if you wish. We now ship with Linux Kernel 4.13. General bug fix release as we prepare to switch to LXQt. LXDE components have been updated with bug fixes. The artwork has received an update. The latest release of Audacious, 3.9, is included by default. Hardinfo has been updated to the latest upstream snapshot. Lubuntu is a good operating system for many old computers, but not for all of them. Some computers have too little horsepower or memory. A rule of thumb is that the computer should not be more than 10 years old (although some older computers are known to work as well). Memory (RAM): for advanced internet services like Google+, YouTube, Google Drive, and Facebook, your computer needs at least 1 GB of RAM. For local programs like LibreOffice and simple browsing habits, your computer needs at least 512 MB of RAM. Processor (CPU): the minimum specification for CPU is Pentium 4 or Pentium M or AMD K8. Older processors are too slow and the AMD K7 has problems with Flash video. We recommend that you email the lubuntu-users mailing list. 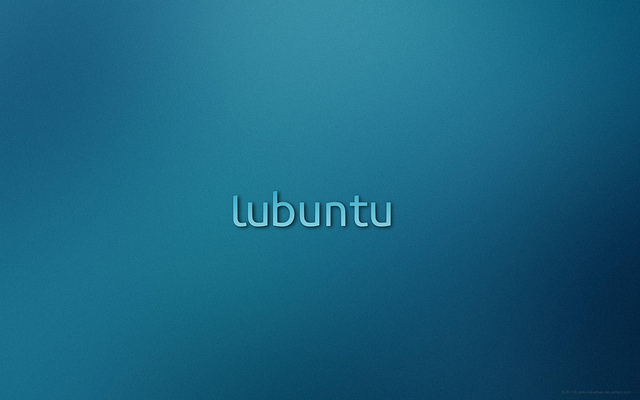 Send an email to lubuntu-users AT lists DOT ubuntu DOT com. If you prefer IRC, our support channel is #lubuntu on freenode IRC. If you don’t have an IRC client, click the link in the earlier sentence, type in a nickname, press start, state your question and press Enter to speak. If your question is not answered right away, stick around, and if you don’t get an answer, email the lubuntu-users list. We always need more help! If you would like to contribute, head over to our Getting Involved page. If you have any questions about contributing, please join #lubuntu-devel on freenode or email the lubuntu-devel mailing list at lubuntu-devel AT lists DOT ubuntu DOT com. For known issues, please see the release notes. [ Smiles ] I tried Lubuntu in the past and I remembered it working rather well. Very light on VM’s that are quite heavy on RAM. Great for LAN testing.